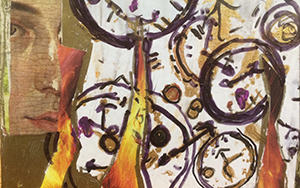 Explore the fascinating effects of music on your creative process as you create a collaged box with instructor Lisa Murphy Noon. Several soothing musical forms will be introduced, and students are invited to discuss their artistic and emotional intentions as they develop their pieces. Recycled materials are encouraged, and multiple media will be available to inspire you along with the music. A $15 materials fee will be due to the instructor on the first day of class.